The secret’s out — not every olive oil is created equal. To get the full health benefits of olive oil, you need to look for one that’s cold fresh pressed, unfiltered and unblended (specifically, “One Country of Origin” — this guarantees freshness and the best taste and health benefits possible). 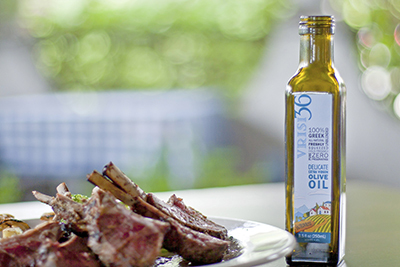 Vrisi 36 extra virgin olive oil offers all that and more — our olive oil is made with nutrient-rich Greek olives, and carefully pressed and packed in a small, Greek farming community to ensure quality and authenticity. What’s more, our EVOO isn’t commodity driven — we know exactly where our olive oil comes from and how it’s made every step of the way. Like all olive oils, our olive oil has no GMOs — so when we say our EVOO is non-GMO, we mean it’s all-natural — plain and simple. With four flavor profiles to choose from, you’re sure to find the perfect olive oil from Vrisi 36. 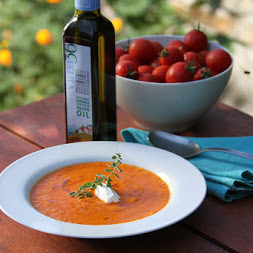 Interested in an EVOO with a light subtle flavor? Our delicate olive oil is the perfect choice. Or try our robust BOLD olive oil, offering full-bodied flavor that works well for grilling, sauteing, finishing and even dipping. Shop your local Whole Foods Market for Vrisi 36 extra virgin olive oils, or contact us to learn how to bring Vrisi 36 to your store or a store near you.